At the Lichtenegger Law Firm, our team of experienced attorneys practice criminal defense, family, business, personal injury and estate planning law on behalf of people living in Jackson, Missouri, and throughout Marble Hill and Cape Girardeau. Having lawyers with differing backgrounds and areas of focus, we are able to offer legal guidance and representation to clients under almost any circumstances. During a free initial consultation, we sit down with our clients to discuss their situations and help them understand their legal options. Our criminal defense attorneys have experience protecting the rights of those accused of a variety of criminal charges, from traffic tickets to felony offenses. When it comes to family law matters, we helped our clients to achieve favorable resolutions to their divorce, child custody, adoption, conservatorships, guardianships and modification cases. Since our law firm’s founding in 1972, our team has secured the best possible outcomes on behalf of clients who have been injured in accidents caused by the negligence of others. We also are adept at helping people develop estate plans that ensure they are cared for during their lifetimes, and that their loved ones are provided for after their passing. Through any of these legal issues, our clients can depend on us to treat them with compassion and to provide them with the support they deserve. We are conscious of the personal nature of the cases we handle, and we strive to help our clients protect their rights. 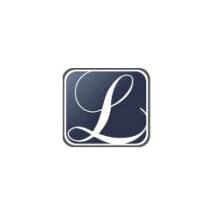 Throughout the legal process, our team at the Lichtenegger Law Firm is available to address our clients’ concerns and answer their questions.